High school swimmers in the Wasatch Back will head to Provo this weekend to compete in the state championships at BYU. Here is a preview of the state meet. The state championship meet takes place over three days at the Richards Building on BYU’s campus. 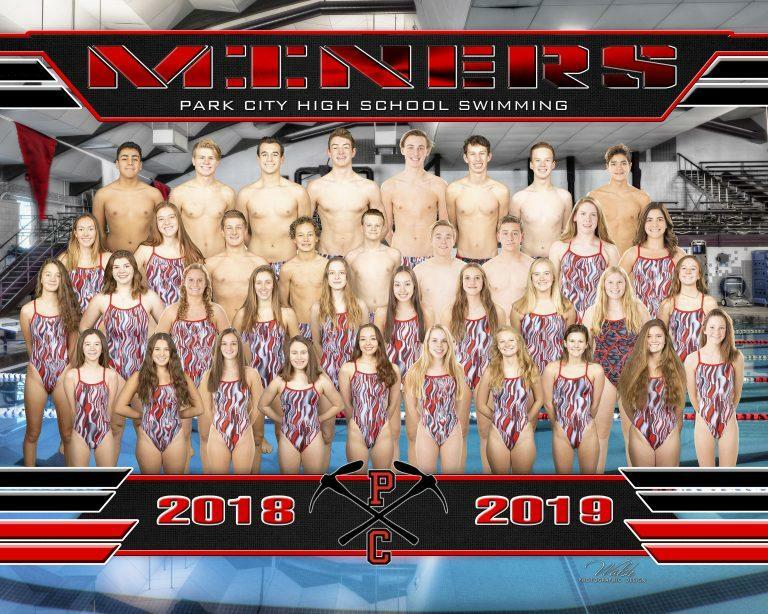 Park City High School will compete in the 4A division. The Miner’s Coach Mike Werner says the girls team has great leadership from a group of seniors. Sophomore Helena Djunic has the fastest qualifying time in the 4A division for the 50, 100 and 200 freestyle, she also has a top five qualifying time in three other events. Her teammate Senior Elsie Beller has the fastest qualifying time in the 500 freestyle and is top a top five qualifier in three other events. Coach Werner says the path to the girls sixth state title in a row will not be easy. Jon Troxel will lead the way on the boy’s side. Troxel qualified with the third fastest time in 4A’s 500 freestyle and top six in two other events. The boys team took second last year at state, but Coach Werner says this year has been a rebuilding year. The 4A individual prelim events will begin Friday at 1:00 pm with the finals and team relay events taking place Saturday starting at 8:00 am. Meanwhile Wasatch High School swimmers will compete in the 5A division. Wasatch High School’s girls’ team will be in the hunt for a top placement in that division. The Wasps placed first in region by over 250 points. Coach Shawn Marsing says they have balanced leadership that could open the door for a shot at the state title. Meanwhile the Wasatch High’s boys team won the region title by one point. Coach Marsing says that winning that title was their goal for the year and that competing for a team state title might be out of reach. Although they’ll have some standout individuals. The 5A prelim events begin at 8:00 am on Friday, with the final and team relay events starting Saturday at 1:00 pm. The 3A state swim meet will take place this Thursday starting at 2:45 at BYU’s campus. South Summit’s Koven Card qualified in the top five fastest times in the 50, 100 and 200 freestyle as well as the 100 fly. On the girl’s side Kaitlyn Caldwell’s top six qualifying time in the 500 freestyle will lead the charge for the Wildcats. Finally, the North Summit Braves will be led by a top five qualifying time from Tessa Richins in the 100 fly. On the boy’s side Cody Piotrowski will look to medal in the 50 freestyle and 100 fly. High School athletes from North and South Summit High School will be competing this weekend at the state drill team competition. UPDATE: South Summit has advanced to the finals on Friday morning. Their performance times will be approx. 9:20, 11:20, and 12:30 Friday morning. The competition takes place this weekend at the UCCU events center at Utah Valley University in Orem. Both North Summit and South Summit High School drill teams won their region meet last week.